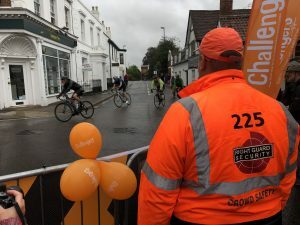 Our Events Division provides security and NVQ stewarding services to a comprehensive variety of shows, events, and crowd gatherings including concerts, music festivals, sporting events, air shows, motor shows, exhibitions, county shows, and many more. All of our stewarding teams receive induction training and many progress to become NVQ Spectator Safety qualified. With dynamic training and professional support, our stewards provide an effective service to the client and a friendly customer focused interface with the general public. Our Customer Service Teams provide a friendly welcome to multiple events and their duties include ticket scanning, directional assistance, general information and emergency exits and evacuation support. Our Crowd Management Teams are all trained and hold an SIA Door Supervisor licence. They all wear our company uniform which is distinctive and has a unique number on each polo shirt and jacket.